Fragments of vintage architectural plans in collage remind us of past places we have lived and loved. 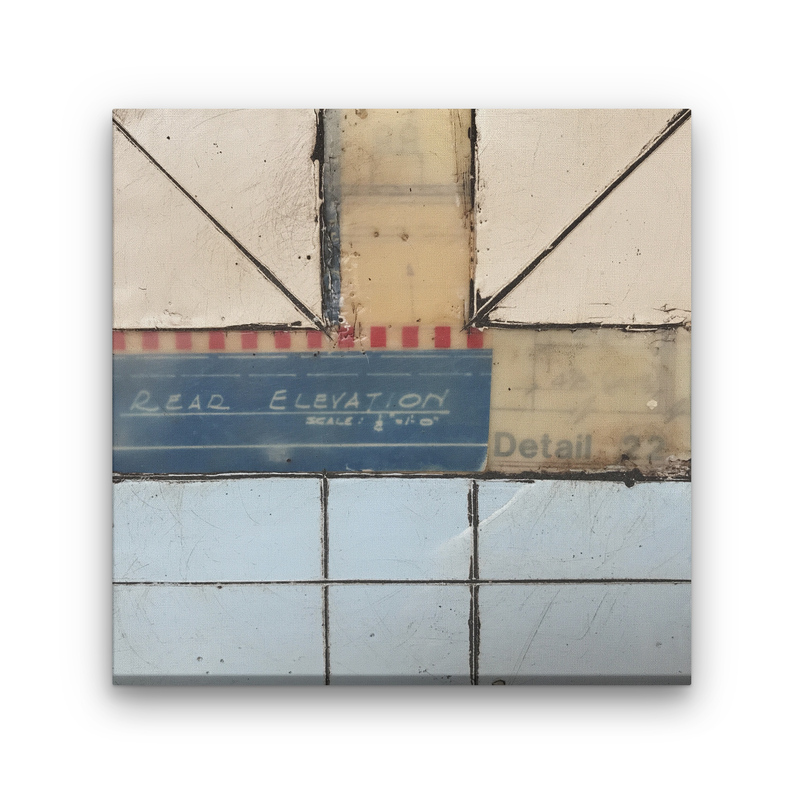 One might unearth such a fragment while renovating a well-loved home. 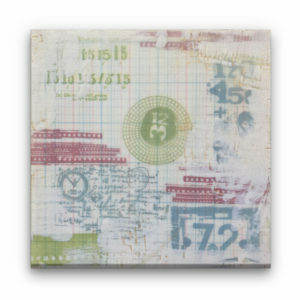 Encaustic and oil - 24 x 8"
Encaustic and oil on vintage ledger paper - 10 x 10"
Encaustic collage - 8 x 8"
Encaustic Collage - 20" x 20"
Why Buy Heather Davis Art? Each original painting is a one-of-kind piece, accompanied by a Certificate of Authenticity which is signed by the artist. 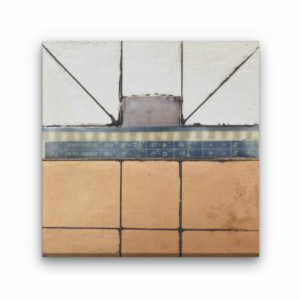 Heather's materials are of the highest quality, and the encaustic medium is a timeless and durable one. 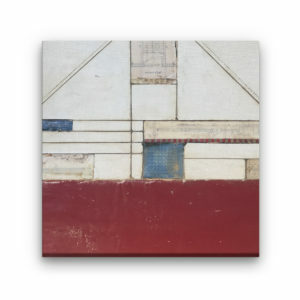 Encaustic works exist today from roughly 3,000 years ago. Collecting a work of art is an experience that provides emotional benefits, as well as ownership of the piece. Buy art that you love and that you want to live with; it will return the favor by pleasing you every time it is viewed. Purchasing artwork directly gives you the benefit of supporting the artist and their small business. As a collector, you have become a patron of the arts. Heather's work is always evolving, and she works in series that change over time. When you find a piece that speaks to you, make it your own. 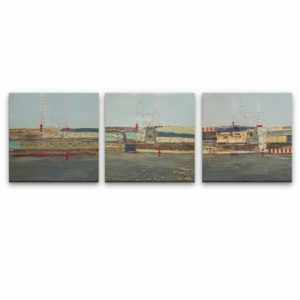 As new work is released, acquiring another piece in the series enhances your collection and enjoyment of the art. All purchases are fully guaranteed; there is no risk to you. If you are not satisfied for any reason, you will receive a full refund. It's been proven that viewing art is good for your health. Becoming a collector and lover of art is good for your soul.